I get tons of emails from people asking me to write about their Kickstarter projects. Mostly I say no, because it's hard to have an opinion about something I haven't actually seen or used. Some things look good in concept, but the execution isn't that great. This time, though, I got a chance to get my hands on the product while it's still on Kickstarter. And as soon as I saw it, I wondered why it took so long for this to exist. 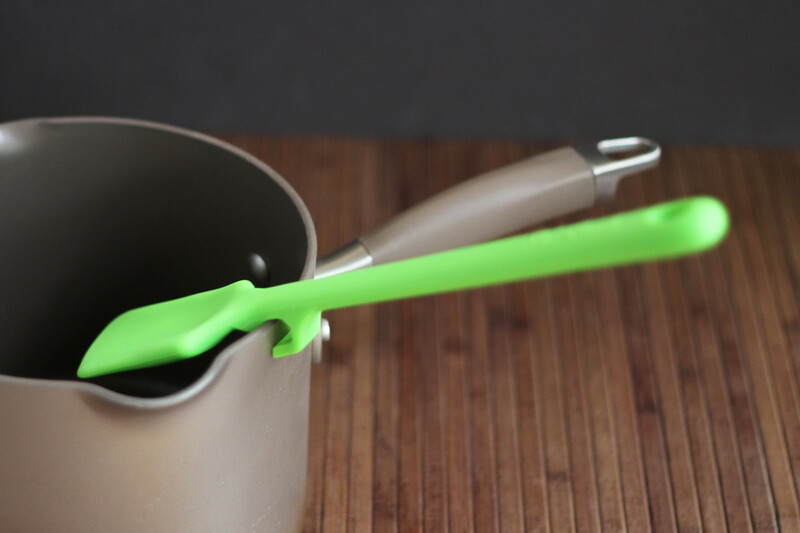 The Le' Cook spoonula is a silicone spoonish-spatula with a hook. Literally. A hook that lets you hang it on the edge of a pot. That's it. That's the concept. And it makes so much sense. If you want to leave the spoonula in the pot, you can. If you want to hang it, you can. If you take it out of the pot, the hook keeps the spoon-end off the counter. Speaking of the spoon in spoonula, this isn't a deep spoon. 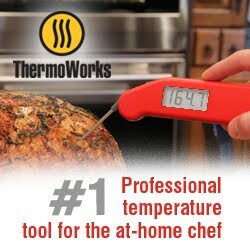 You won't be using it to serve soup. But it's got a gentle curve to it that makes is spoonish rather than a flat spatula. Who's it for: People who stir things when they cook. Seriously, it's a basic item. Pros: Simple concept that actually works. Cons: Like any startup these are more expensive than what you'll find at the dollar store bargain bin. Wishes: I imagine they'll make more styles eventually, so I won't even mention that. I've been a fan of the Mexican-style citrus squeezers for a long time. They work well, they get a lot of the juice out, and I don't end up with citrus juice all over my hands. You can find the basic squeezers all over the place. Som are sturdier than others and they're made from different materials, but they're basically the same thing. The new squeezer from Crisp is a little different. instead of just being a squeezer, it also measures the juice - and keeps it confined - while you squeeze. It makes sense. I mean, if you know you need the juice from one lemon or lime for your glass of lemonade, it's no big deal. But if you need 1/4 cup for a recipe, it sure is handy to be able to just squeeze that amount. There are measurements on the cup as well as little spouts on two sides for easy pouring, so you can pour out the juice and then keep squeezing if you need to. 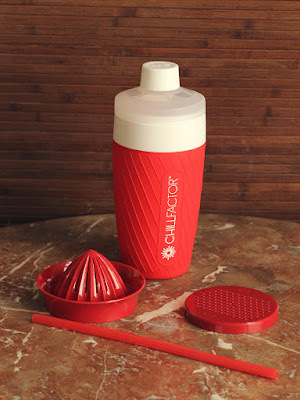 The squeezer is made from a hard plastic and it's dishwasher safe. 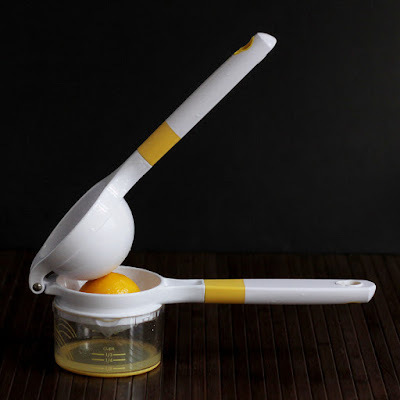 If you don't already have a squeezer that you love, or if you get annoyed at trying to squeeze juice into a cup without having it spill and splurt all over, then you might want to look at this one. Who's it for: People who squeeze fresh lemons or limes. Cons: Doesn't seem quite as sturdy as metal ones. Then again, you're squeezing fruit and not rocks. 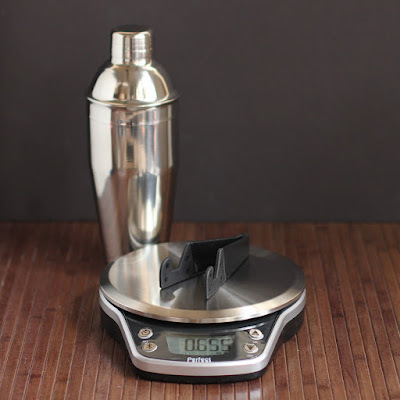 Wishes: The largest marked measurement is 1/3 cup. It would be nice if it had one more, for 1/2 cup. Everyone needs a list of fun gifts right? Whether it's for a special occasion, just a little something tucked into a basket, a hostess gift, or a "just for fun" gift, here are some that I particularly like. First we have a few sweets! 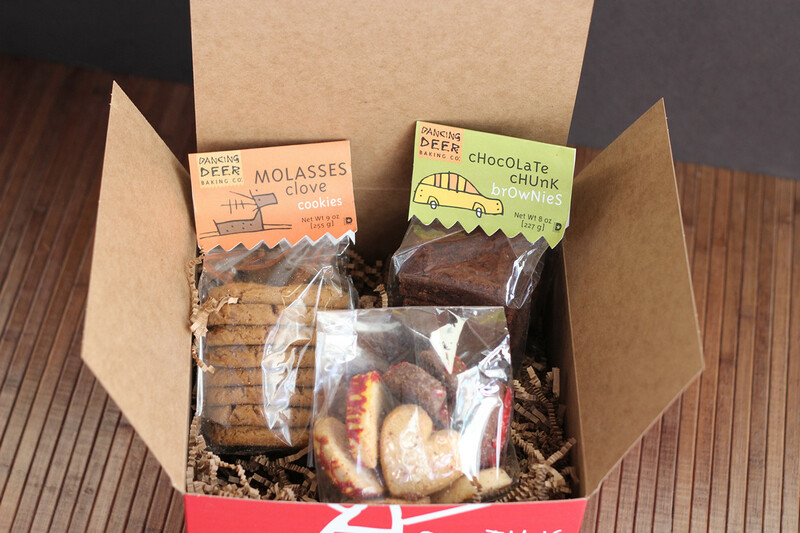 Cookies, brownies, and other baked goods come packaged in a fun box, ready to munch on. The brownies are really good and the molasses cookies are divine! I haven't dipped into the hearts yet. Ice chips are sweet, but sugar free. 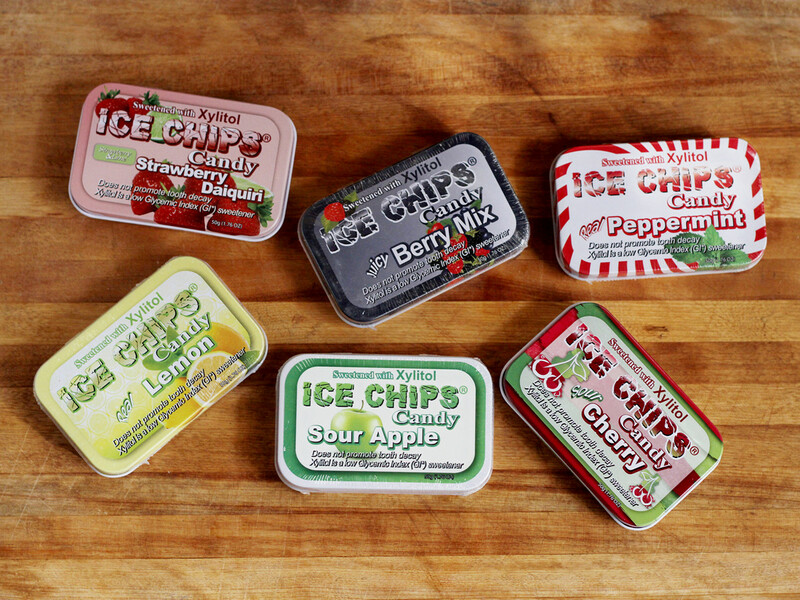 These would be great to tuck into a purse or pack in a lunch or add to a special basket of goodies. And they taste really good, too! Check the web site for health benefits. 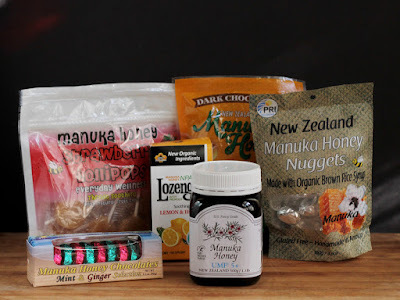 Manuka honey is supposed to have health benefits, but it's also pretty tasty. Give a jar of honey to your tea-drinking friend, or candy to those who love sweets. Super-tasty! Not everyone has a sweet tooth - so here are a few ideas for folks prefer something spicy or saucy! 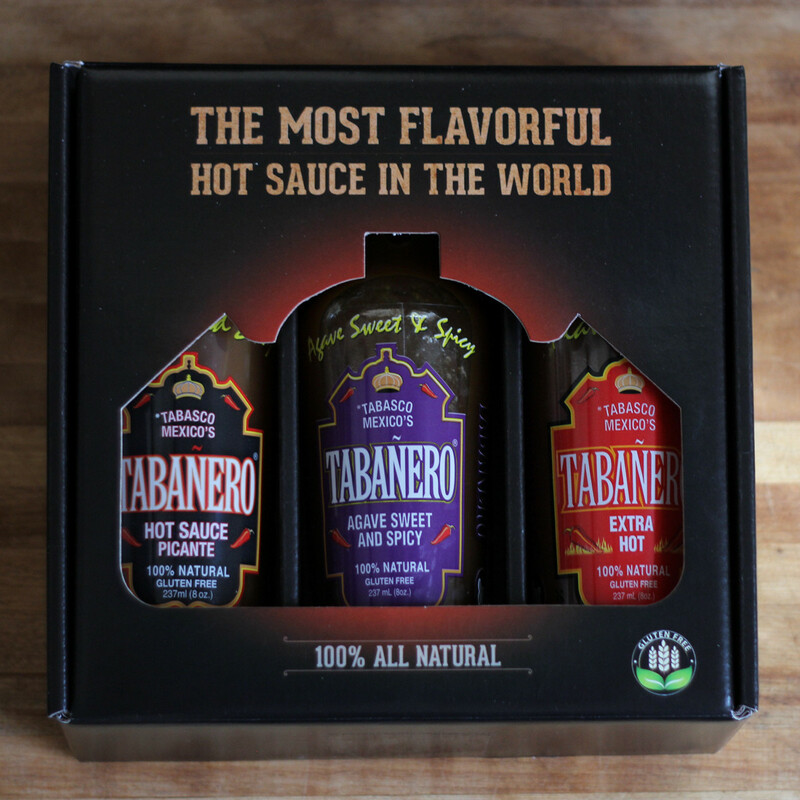 Send one sauce or box of three to your favorite hot-head. You can see in the photo, but the Sweet and Spicy bottle is already about 1/3 used. 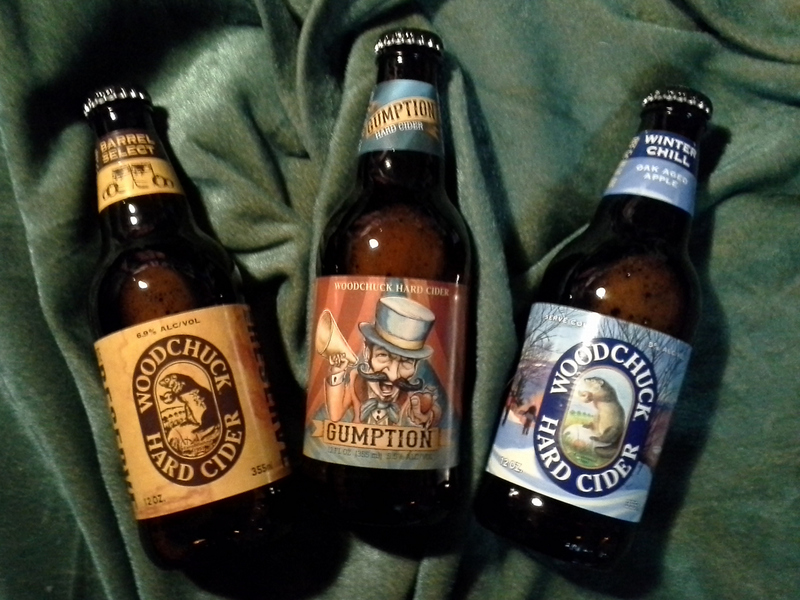 Looking forward to sampling the others. Jay Ducote came in second in last year's The Next Food Network Star, but perhaps you don't know that he's got his own line of sauces. 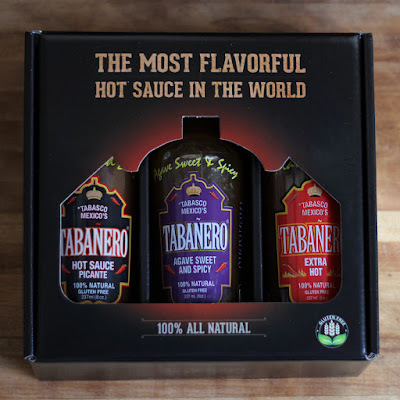 Great for grillers! 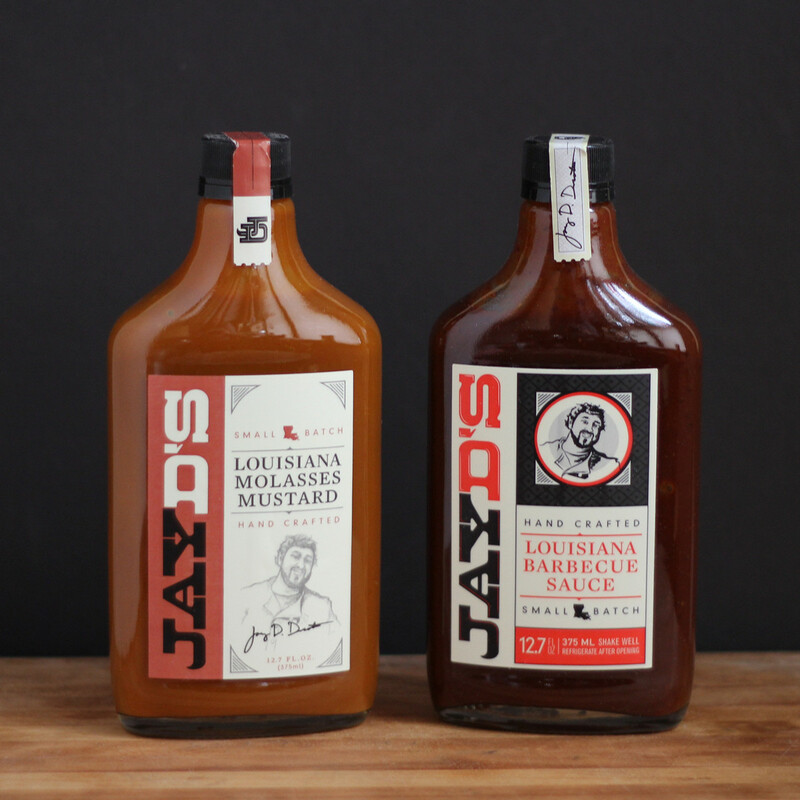 Something boozy can be perfect for a gift for a party - or you can cook with these, too! 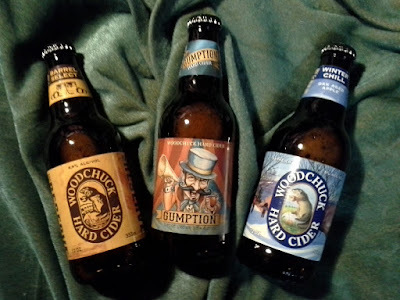 Woodchuck makes some tasty ciders, great for drinking as-is, or you can use them in recipe. Awesome with pork! Use some for an apple cake! 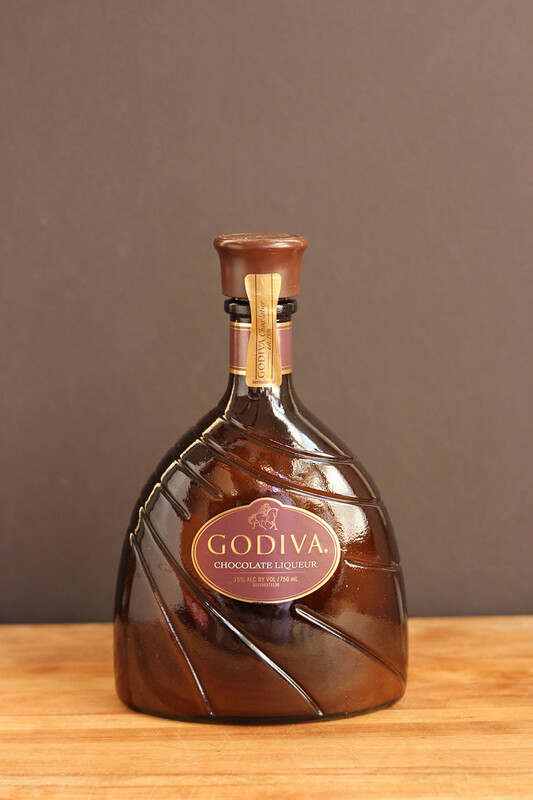 The perfect drink for your favorite chocolate lover! Nice as-is, or use it in a cocktail recipe! 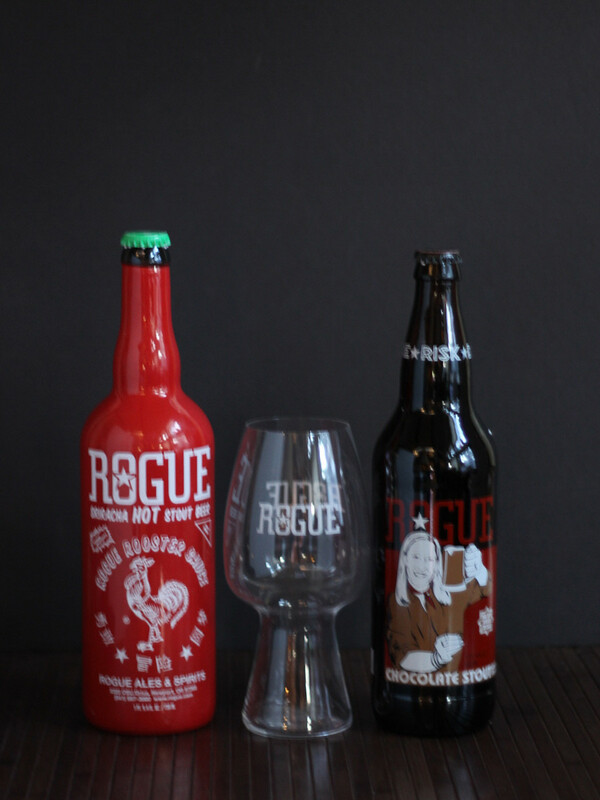 The Sriracha beer is spicy, but not too spicy to drink. Great for recipes. Not fond of spice? There's a chocolate beer, too! Once you have the ingredients for a drink, why not combine them in this freezable cup to make a slushy frozen drink? Get a pair of them for your favorite couple! Most of these were sent to me by companies for review and/or use on my blog; Jay Ducote is a fellow blogger and friend.